Update: More details about Monday's shooting are beginning to emerge. 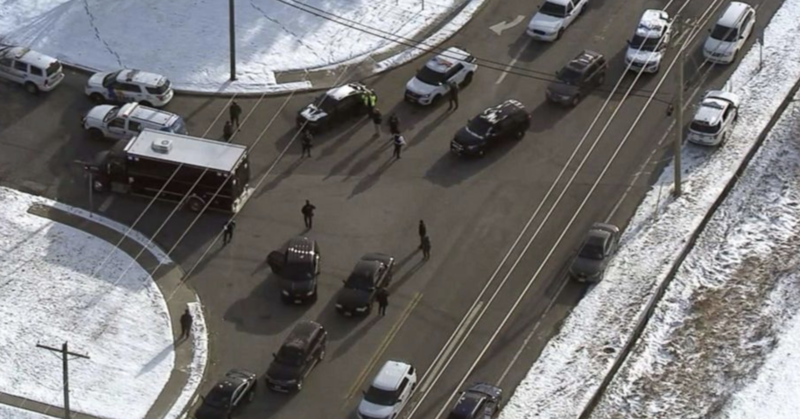 According to NBC News, a man entered the mail sorting facility in Logan Township and fired shots into the ceiling before taking his ex-girlfriend and another person hostage, according to a law enforcement source. So far, there's no indication that anybody has been hurt. The building is surrounded by police, and the hostage situation is ongoing. 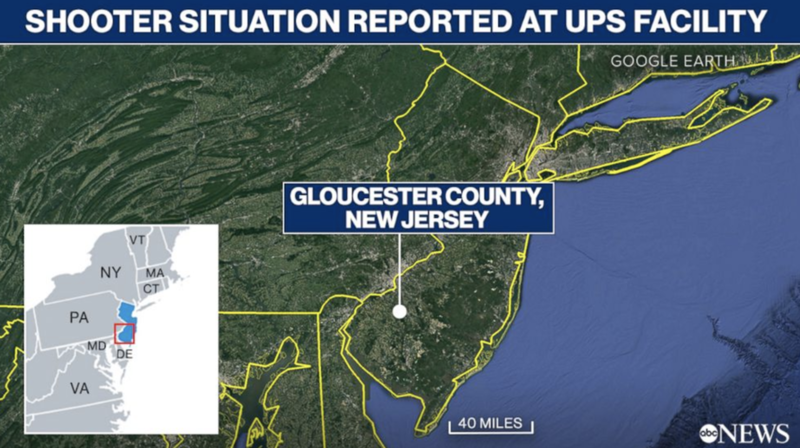 Police are responding to an "active shooter situation" at a UPS supply chain processing facility in Logan Township, New Jersey, according to local media reports. UPS said it's working with law enforcement. Though no shots have been confirmed, police are swarming the streets and a loading ramp. "We cannot provide information about the identity of people involved at this time," UPS said in a statement. New Jersey State Police said "local and county authorities" were responding to the incident.